We arrived in London in April, during a heatwave. It was, in fact, the hottest temperature ever recorded for the London Marathon, at a whopping 24°C! This meant t-shirts and shorts and fabulous weather in which to wander the streets of London and view all the iconic sights the city has to offer. We started the day at Green Park tube station and followed the throngs of tourists through St James Park to Buckingham Palace. The sun was out and so were the deck chairs, all neatly arranged amongst the daffodils. There were literally thousands of people outside Buckingham Palace, all waiting for a chance to see the changing of the guard. This happens at 10.30am every morning and is a must for all London itineraries. There is something rather splendid about all the pomp and ceremony, the precision of the guards in all their finery and furry busby hats, the clip-clop of the horses and the drumming of marching bands. There was a large police presence, making sure the pathways were kept open and that people kept moving. One policeman, came over to let us stroke his beautiful black horse called Norman. Out of the whole crowd, he chose Tai to give a mint too, to feed to Norman, which made Tai’s day! From Buckingham Palace, we wandered down Pall Mall, passing under Admiralty Arch into Trafalgar Square. You are not allowed to feed the pigeons anymore, so there are hardly any pigeons, but it was lovely to sit on the fountain and watch the world go by for a bit, with Nelson looking down from his column. Next, we headed down Westminster Road, stopping to pet the guard horses at St James Palace, having a peek through the gates at 10 Downing Street and on to Westminster Palace. Sadly, the iconic Big Ben is under renovation and will be for a few years still, so no good photo opportunity there. Westminster Palace is a magnificent building and right opposite is Westminster Abbey. At £22 for adults and £9 for kids, the Westminster Abbey was a little too costly for our budget and from the few people actually going inside, it looks like it was a little pricey for a lot of tourists. So off we set over Westminster Bridge for a stroll down the Southbank. 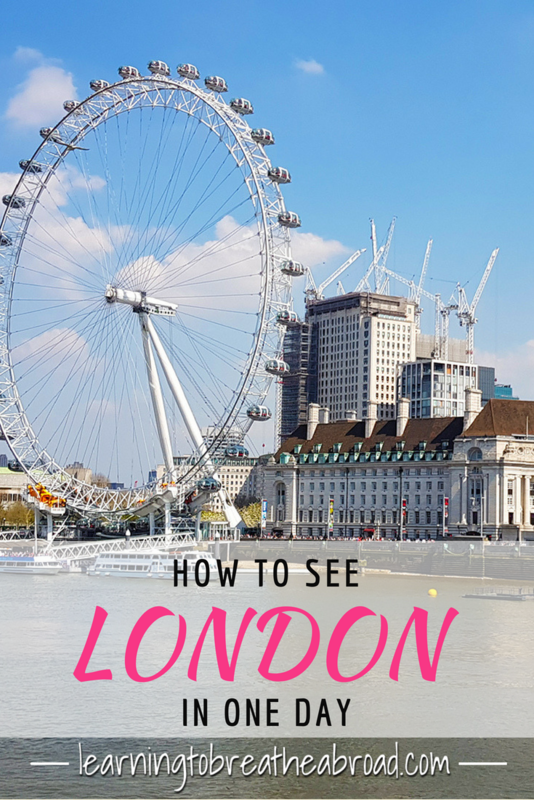 Here you will find the London Eye, the Shrek Museum, the Aquarium and the London Dungeon. £40 for entrance to two of these attractions or £55 for all four of the attractions and Madam Tussaud’s. The Florence Nightingale Museum is also on the Southbank, just south of Westminster Bridge. There are lots of food and drinks stalls and restaurants along the Southbank, so it’s a good place to break for lunch and rest your feet from all the walking. After lunch, we strolled over the Golden Jubilee Bridge and made our way via the tube to St Paul’s Cathedral. 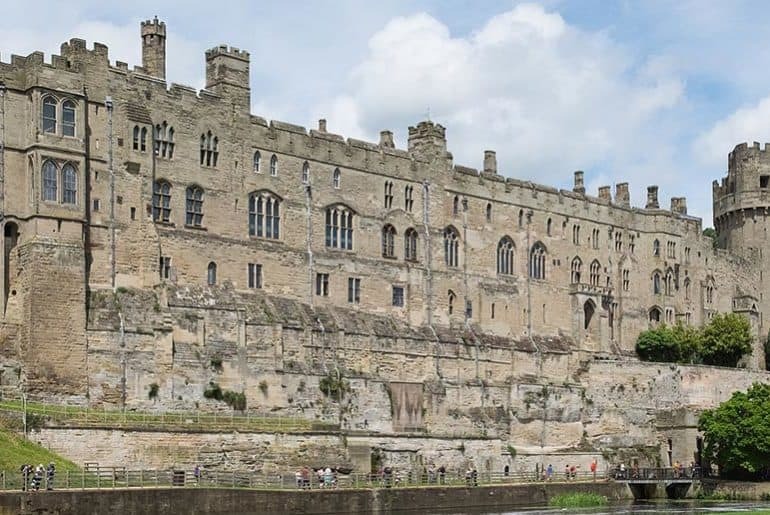 It has been standing for 1400 years and has been rebuilt five times. It was such a beautiful day and the gardens next to the cathedral where bursting with tulips, so we around for a bit, just soaking up the atmosphere. Admission was £19 for adults and £8 for kids, so another icon viewed from the outside! Tai’s little legs were growing weary, so we hopped on a bus to London Bridge, from where we had a fabulous view down the River Thames to Tower Bridge. If you are traveling with a baby or a toddler you might want to consider a baby carrier or a stroller. It was Friday afternoon; the sun was out in full force and so were the people. All the bankers near Cannon Street, spilling out of the pubs to enjoy their pints in the warmth of the day. A visit to London wouldn’t be complete without a stop at Piccadilly Circus, so a quick tube ride was in order. We had a little wander around, said hello to the statue of Eros and hopped back on the tube to home. A full day of sightseeing and a wonderful introduction to London for Tai. If you have a credit card, then getting around London is super easy! If your card has the tapping icon, then all you do is hold it against the turnstile machine in the tube station and your card will automatically be debited. And you don’t need to worry about running up a huge bill, as it has a daily transport cap of £9.80, so you can hop on and off the tubes and the buses as much as you like and at the end of the day only £9.80 will be deducted from your account. Simple! The route we took could easily be done by foot or should I say, by adult feet. Tai’s feet just weren’t quite up to the task on the day.